Exactly how fast is Maritime Trade? Overseas Car/ Automobile/ Vehicle Transport Services to Port Callao, Peru from the United States! International Automobile/ Car/ Vehicle Shipping to any Port in the World from Port Halifax, Nova Scotia! For many clients of international shipping services, time is an important issue and consideration. However, depending on what clients are interested in transporting, whether it is construction equipment, automobiles and trucks, or personal effects, clients can opt for different modes of international transport for a quicker transit, including air freight. However, the faster options are usually much more expensive. 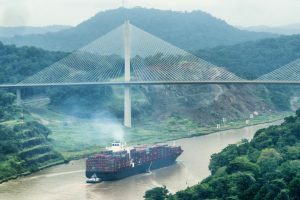 The speed of maritime shipping depends on several factors, including the type of container ship, the weather at the time of the shipment, and the destination port, including any stops the ship may have to stop along the way. Usually it is not possible for clients to pick and choose the ship their cargo will be transported by, because the ships are usually chosen for the location they are traveling to. For example, some models have the capabilities to travel via the Panama Canal, while others do not. Generally, clients can expect a shipment from the East coast of the United States to Germany or the Netherlands to take about two weeks, give or take a few days. For an international shipping company to transport cargo to a destination farther away, the shipment can take up to a month. 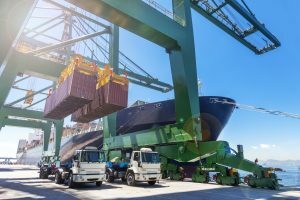 It is important for clients to maintain open communication with their freight forwarders to know what to expect, and to schedule shipments at a time that coincides with their schedule. While the time it takes to transport cargo can discourage clients, the process is extremely safe, reliable, and affordable.